Very nice host who is always available with advice and support. The interieur is very tasteful wooden furniture and a basic kitchen equipment is provided. It was a gem! The view unto the sea when you entered the studio, the sunsets. So close to the beach. You could swim any time you liked, the bus station to Corfu city just in front of the house, the peace and quiet and the beautiful surroundings after the hustle and bustle of Corfu. Both hosts were very hospitable and respected your privacy. The shuttle to the airport... It was just perfect! Would advise anybody who loves the peace and the sea-views. Very good communication. Nice host. very nice Veranda with beautiful view. Just you hear the airplanes. Hosts were extremely helpful and friendly. Airport transfer was convenient. Reasonable price. 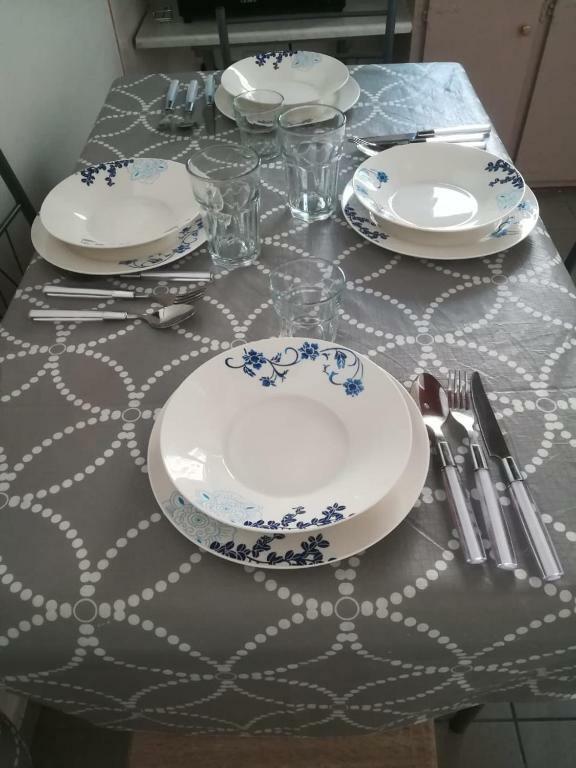 Personal approach by the host, really sicere and at the same time adequate,not bothering. Rooms equipped to the detail - small gas stove for greek(turkish) coffee, plastic shaker for frappe,pots, pans, anti-mosqito electric device, sponge... Another plus is that each room has boiler for hot water - immediate and really hot. Good wi-fi. The view... Beautiful! The view on the continental Greece and Albania was one of the best experience we had during our 7 days stay. The host prepared fresh fruits for us from his own garden from which you can squeeze absolutely great orange juice as great starter of the day for your breakfast. We had only 1 day there, but host seemed to be very very friendly (as all Greeks are). I strongly recommend this hotel for you romantic stay ! 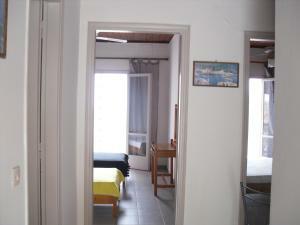 Cozy and nice small apartment with all you may need for your stay (bring the soap and shower gel). Shower works perfect, the place is small so it gets warm fast, which is important if you are visiting in winter or spring. Familiar place. The wiev of the sea is beautiful and very close to the apartment. Thank You this days what we spent there. Very friendly and helpful owner like a family memeber. Soon as possible we will go back. 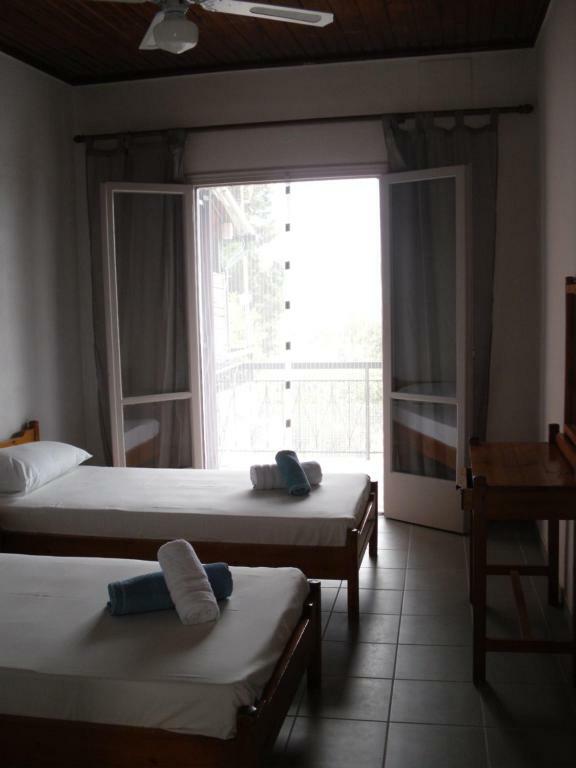 Lock in a great price for Spiti Kritikos – rated 9.1 by recent guests! Featuring free WiFi and air conditioning, Spiti Kritikos is located in Gastouri, 4.3 mi from Corfu Town. Glyfada is 6.2 mi from the property. Some units feature a terrace and/or balcony. 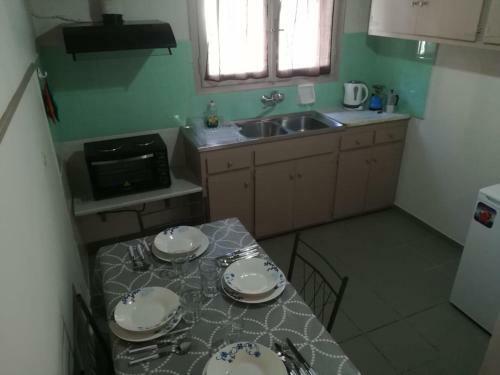 There is also a kitchenette, fitted with an oven and fridge. 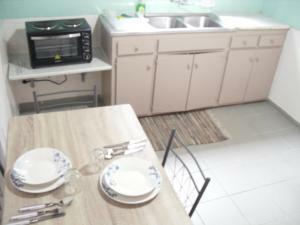 A stovetop and coffee machine are also provided. 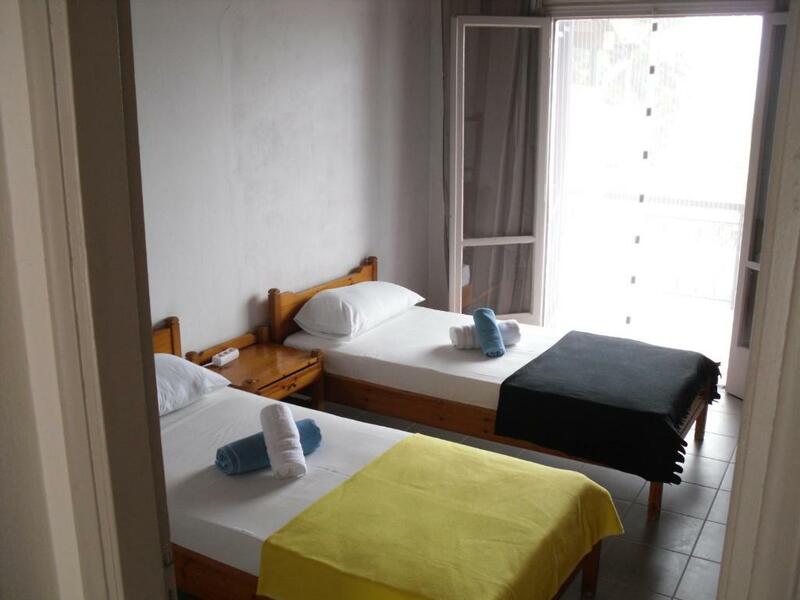 Each unit is equipped with a private bathroom with a shower and a hairdryer. Bed linen is available. 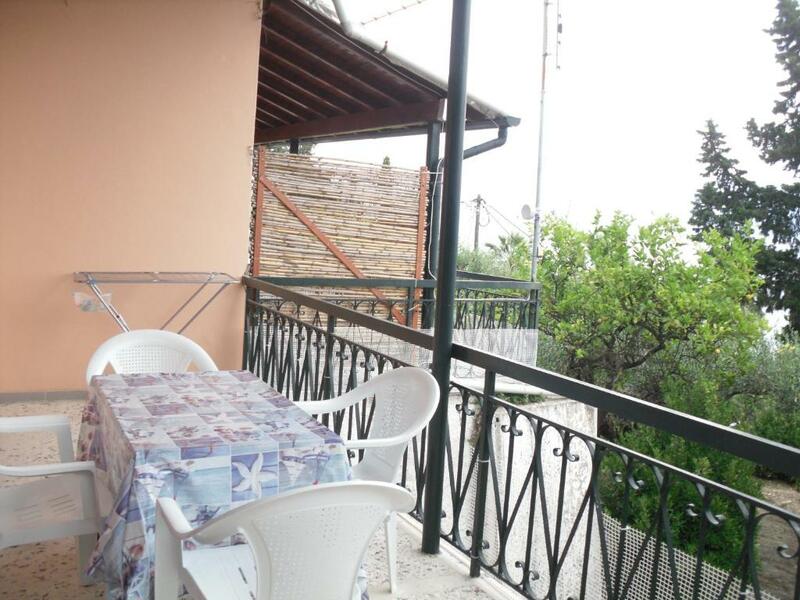 Spiti Kritikos also includes a terrace. The property also offers grocery delivery. Sarandë is 22 mi from Spiti Kritikos. The nearest airport is Corfu International Airport, 3.1 mi from Spiti Kritikos. 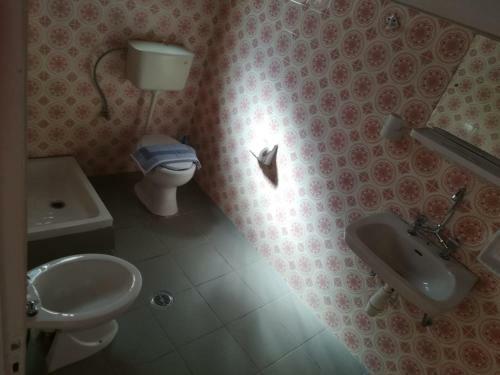 This property is also rated for the best value in Benitses! Guests are getting more for their money when compared to other properties in this city. When would you like to stay at Spiti Kritikos? This apartment has a electric kettle, private entrance and dining area. Spiti Kritikos is on the Kaiser's bridge, along the old path that leads to ACHILLION, the summer residence of Empress Sissy. There is accessed on foot from the Kaiser bridge along a few steps, or by car from the road above. All rooms have a kitchenette, bathroom, air conditioning, ceiling fan, balcony with sea view and private parking. 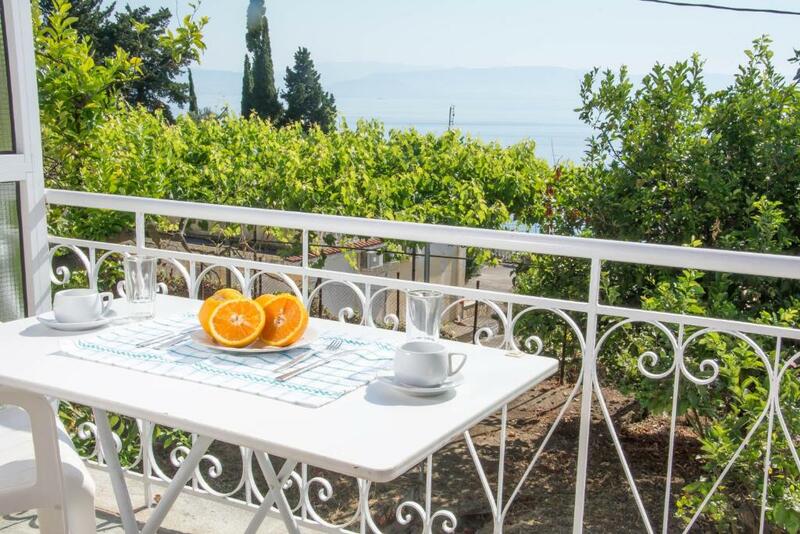 The property has 4 bedrooms, surrounded by lemon and olive trees. Ideal for those, after a day visiting the island or just to the beach to soak up the sun, then in the room seeking tranquility and comfort while admiring the beautiful view. Spiti Kritikos is located close to the sea, in fact, by walking a few steps you will find the public beach. Spiti Kritikos distant 13 kilometers from the city' of Kerkyra, 12 from the airport, 14 from the port and only 2 kilometers from the village of Benitses. Hi, my name is Clementina. For friends Tina. Me and my partner live in the structure and we are at your disposal. Kaiser’s Bridge Kaiser’s Bridge, an architectural masterpiece, even from the «least known» sights of Corfu, is located below the estate of Achillion, two kilometers northern from the resort Benitses of the island. It is subsequently an «arm» which looks that is floating on the water, built with special style and technique. Creator of the Kaiser’s Bridge, was exactly the person from who it was named after: Kaiser Wilhelm II, the German emperor, to whose property passed Achillion after the Austrian Empress Sissy. Wilhelm wanted direct access to the sea and Kaiser’s Bridge guaranteed that, while at the same time provided to him the necessary isolation from prying eyes. Kaiser’s Bridge was built in the beginning of the 20th century but, it is preserved in a very good condition, although its bow is now «cut in two» in order to cross the modern seaside road. On the spot where, for more than a century, the beautiful Kaiser’s Bridge stands, someone can see the residue from the pier that Wilhelm had built in order to dock the boats that disembarked his high guests. House Rules Spiti Kritikos takes special requests – add in the next step! Spiti Kritikos accepts these cards and reserves the right to temporarily hold an amount prior to arrival. Please inform Spiti Kritikos of your expected arrival time in advance. You can use the Special Requests box when booking, or contact the property directly using the contact details in your confirmation. It was difficult to find at night. There's no parking space and there are quite a few precarious steps up to the property. The walls are also quite thin so we could hear the people in the room next to us quite loudly. The curtains are also thin so there's a lot of light in the morning. The facilities were good and the room was very clean. The hosts were friendly and always available to help. It's also located close to the city and the view from the room was great. The parking possibility nearby the property was terrible. The air condition effectivity was very weak. Location is ok if you have a car. The place itself is very good, but the road to get there is a bit of a challenge even for experienced drivers. The hosts are very nice people, the whole attitude toward us was friendly. It was very easy to get there. The room was clean. The view is great! It's close to the sea and the sea is very clean there.